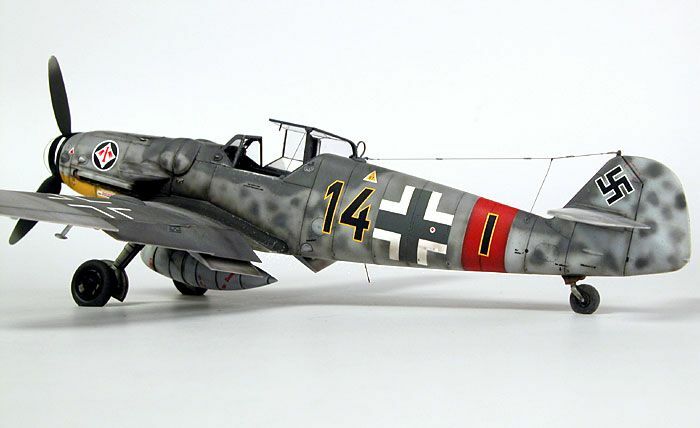 Warbird Replicas Bf 109 club. I thought I'd help DD out and Start the thread early. 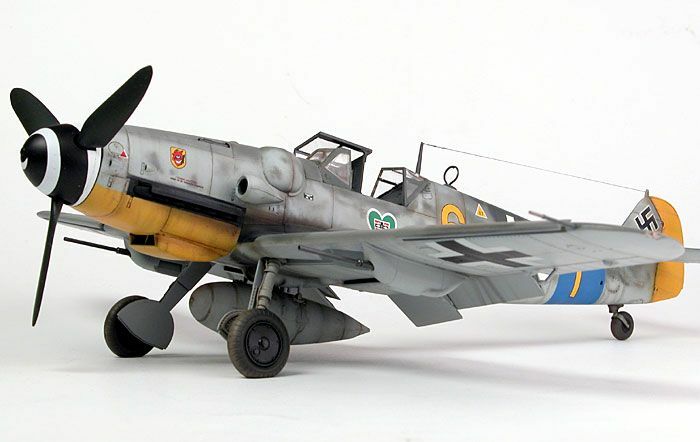 This will be a prototype build of Richard Wills BF 109. If enough people show enough interest he will do a small batch but this will depend on numbers so if you know of Richards designs and want one, keep checking back as Dwain Dibbly will be leading the charge as he is due to get the prototype kit very soon. That's Cool Paulo, I got my new laptop today but it's not all set up yet. Still some things to do . Now come on stop playing with the new laptop and get that box open you haven't got yet! and not so much of the OLD boy... young at heart really.... well a BIG (6'4" kid more like. Richard looks up to me... I think he may have a crick in the neck after my last visit.. I will continue with a theme and go with this scheme if I can get away with it. Got the paint etc.... Plus the FMS one came in this scheme so a direct comparison will be easy. I am certainly up for one. Compared with the 110 there is an amazing choice of colour schemes available. Typing this on the new laptop boys, so bodes well for the 109 blog. If its windows 10 dont forget to adjust your privacy settings. Unless you want Microsoft to have access to everything on your machine. Ive always been fascinated by the 109 . So many different variants . You would be hard pressed to find a more menacing aircraft . Especially some of the last ones . This would be a contender for me . As usual I will offer custom decals for the build, Paul you mentioned one you were interested in, can you send me a picture of it. 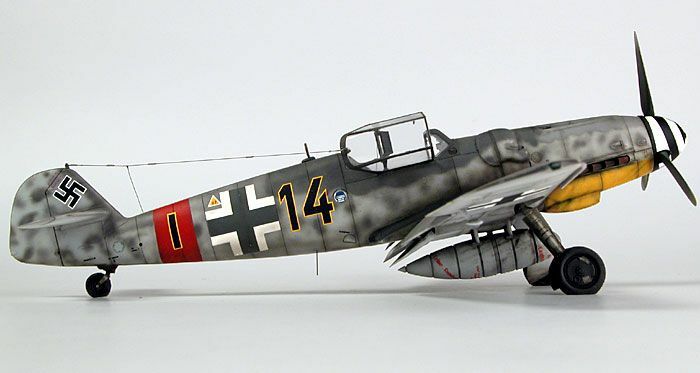 We already do a set for White "11" of 1./JG 27 Pilot Ofw. Albert ESPENLAUB. So if you want something different just ask Richard and we will do our best to accommodate. After missing out before, I think I may have to take the plunge. Which glow engines are suitable? Look forward to following this with interest. I would think a .52 FS would do it. 95% will go electric for good reason . Having said that , and given that there is so little work in the rest of the kit , it would not be a difficult job to fit an IC motor . I am not going to be offering any IC versions though , so it will be down to you . An SC52FS or similar would be ideal. The kit is really an answer to the FMS 109 which is very expensive in this country and does not offer the structural integrity or bad weather capability of a traditional hard skinned model . A 50 4 stroke or 40 2 stroke should do it. Although a 2 stroke would be sacrilege! 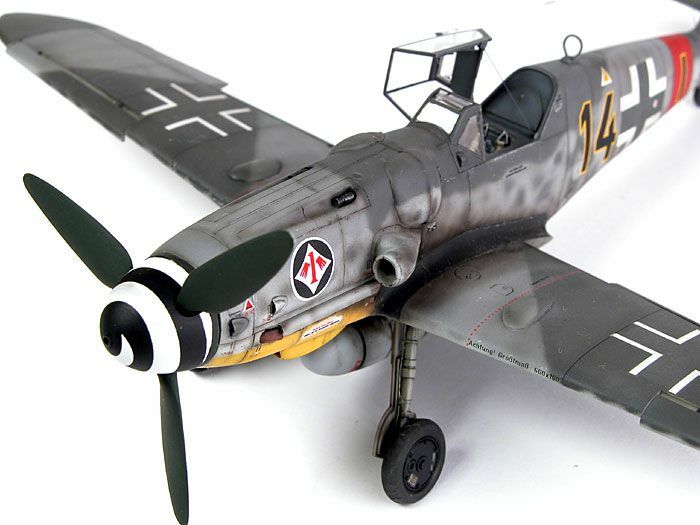 All Forum Topics > Building from Traditional Kits and Plans > Warbird Replicas Bf 109 club.